We have two system for Paypal payments. Business Payment. That mean, that you receive invoice in Paypal, and paid it with it. We cannot accept auto payments from Business account in Paypal. (Fully protected). Quick Payments. That mean, that you will automaticaly Pay for you order on Paypal Website (Fully protected). 2. Payment with plastic cards. PayOnline — universal electronic payment system allowing to accept online payments with bank cards Visa, MasterCard, Maestro, through QIWI Wallet, WebMoney and Yandex.Money. Today PayOnline holds leading positions on the market of electronic payments in Ru‑net. PayOnline Company provides internet-acquiring services to more than three thousand e‑commerce enterprises and processes payments of over 5 million cardholders. PayOnline technologies conform to international data safety standards for payment card industry, PCI DSS certificate of the first level confirms that. The credit scoring system for monitoring and fight against fraudulent transactions developed by PayOnline specialists allows to minimize the risks for all types of fraud, typical of e‑commerce. PayOnline supports 3‑D Secure technology as an additional level of security of payments. Accepting payments on the website is provided by PayOnline processing center — VISA and MasterCard official service provider. With help of PayOnline more than five million cardholder safely and conveniently make payments online. 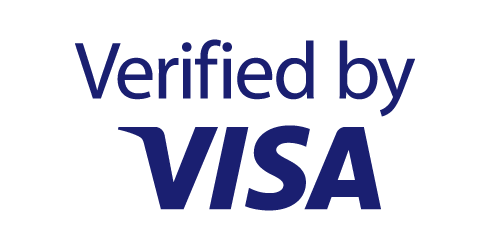 For online payments can be used cards Visa, Visa Electron, MasterCard and Maestro. If your card is signed to 3D-Secure, authorization of your payment will be carried out by one time password. Input and processing of confidential payment data is performed on the side of processing center. Nobody, not even the seller, can not get entered by customer credit card details, which guarantees complete security of his money and personal data. After successful completion of payment by e‑mail is sent to e‑payer a receipt confirming and committing the payment, it contains a unique identifier. All questions, related to the payment process, can be asked to specialists of 24 hours multilingual PayOnline support by telephone number 8-800-7000-729 or by e‑mail support@payonline.ru. If you need part or full refund, please, write to our email. We will return monies on your plastic card in next 2-3 business days. Delivery We offer international delivery. Your order will be delivered within 3 business days after the payment has been received. We deliver Monday to Friday from 10:00 till 19:00 CET.